Born in 1964, Anne Desmet specializes in wood engraving, linocut and mixed-media collage. She exhibits widely, has won over 30 national and international awards, has works in public and private collections worldwide and commissions include engravings for the British Museum, V & A, British Library and Sotheby’s. Her first retrospective: Anne Desmet – Towers and Transformations opened at the Ashmolean Museum, Oxford, in 1998. Her second museum exhibition: Anne Desmet – Urban Evolution opened at the Whitworth Art G Read Moreallery, Manchester, in 2008. Both exhibitions toured other UK museums for two years. 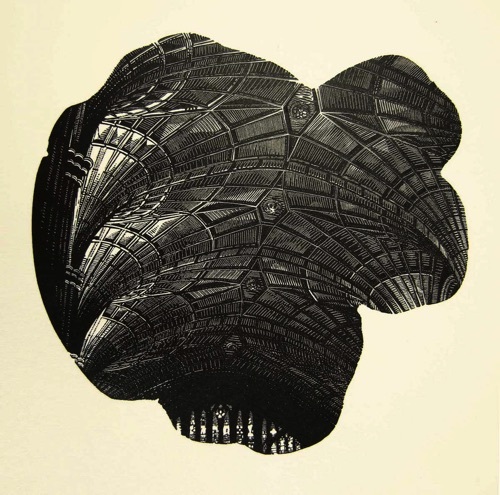 Desmet is author of Primary Prints (2010); co-author, with Jim Anderson, of Handmade Prints (2000); and co-editor, with Anthony Dyson, of Printmakers: The Directory (2006). She lives and works in London, was editor of Printmaking Today magazine from 1998-2013 and was elected a Member of the Royal Academy of Arts (RA) in 2011.